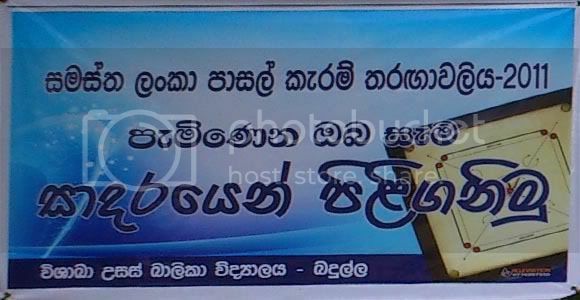 2011 All Island carrom tournement was held on 8th - 1oth of September at Vishaka High school, Badulla. This was held as two sections for under 19 and under 15 students.85 teams participated in this competetion. 2nd place : Vishaka High School, Badulla.